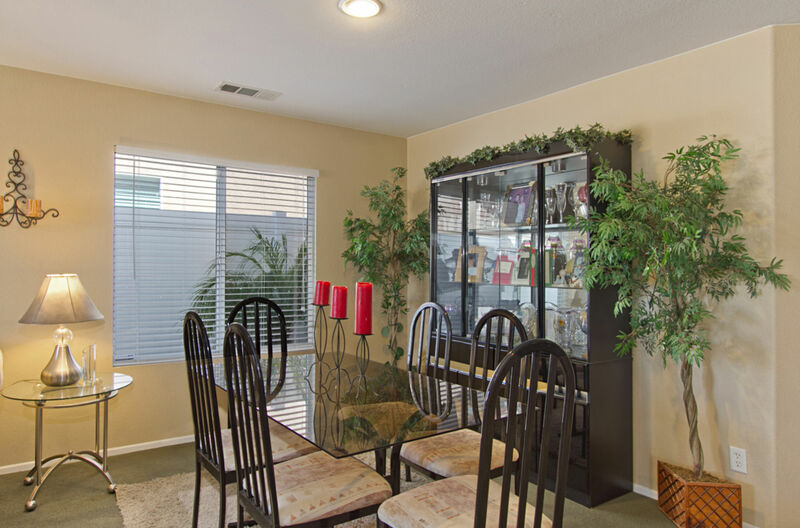 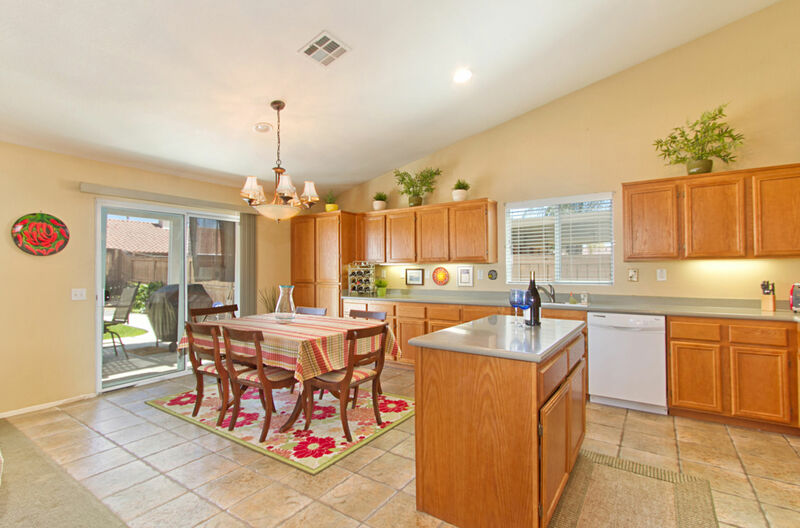 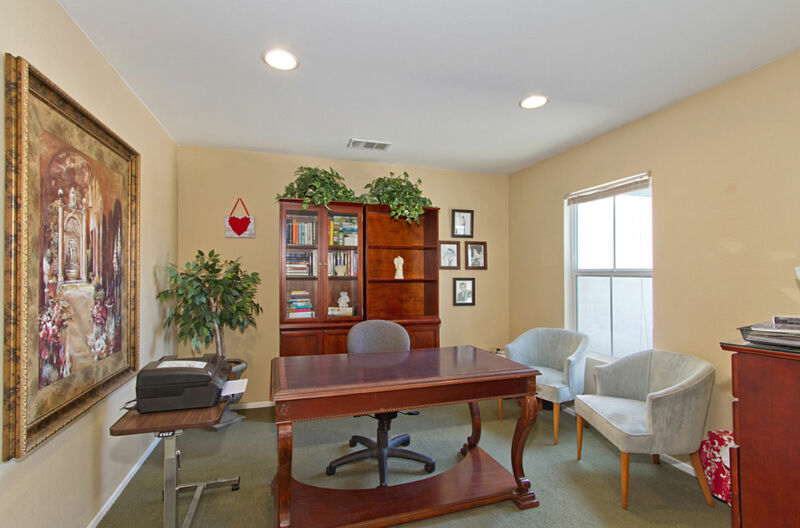 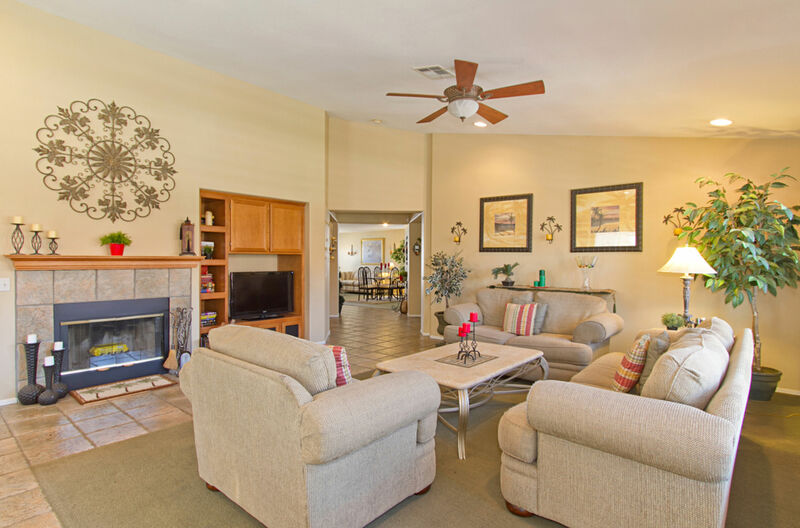 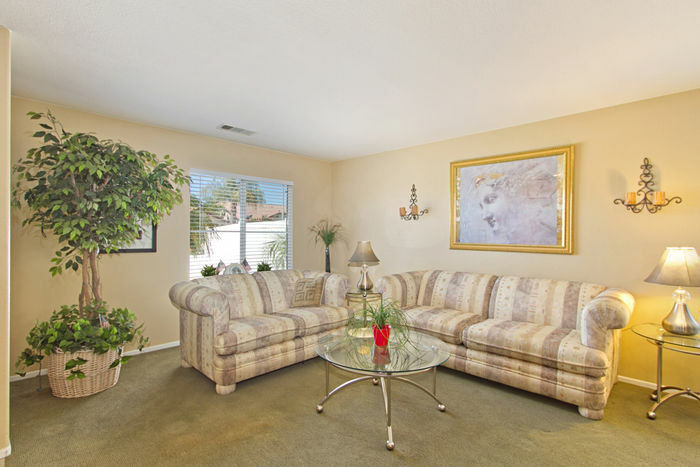 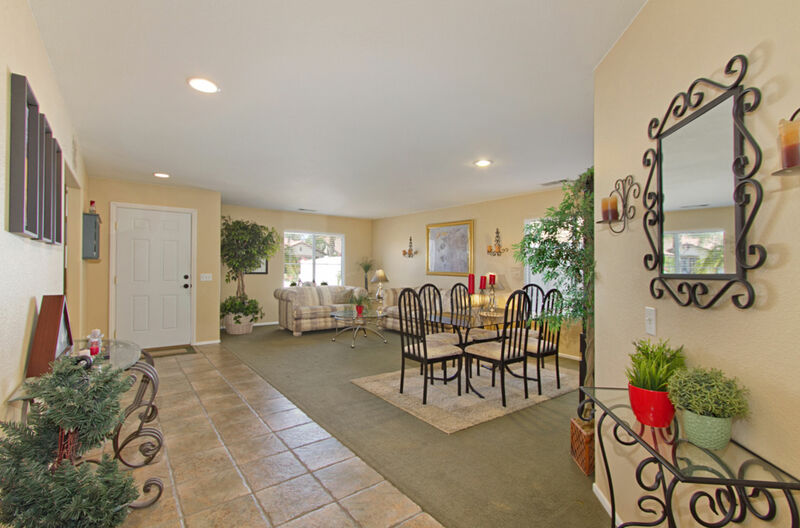 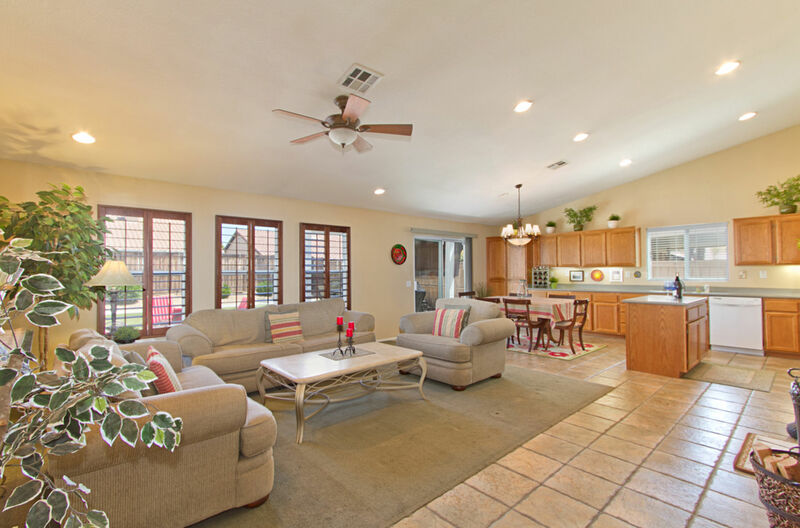 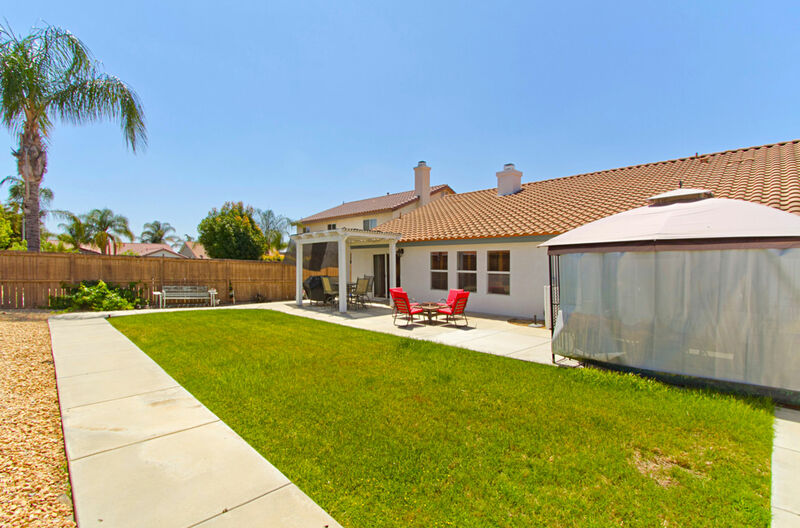 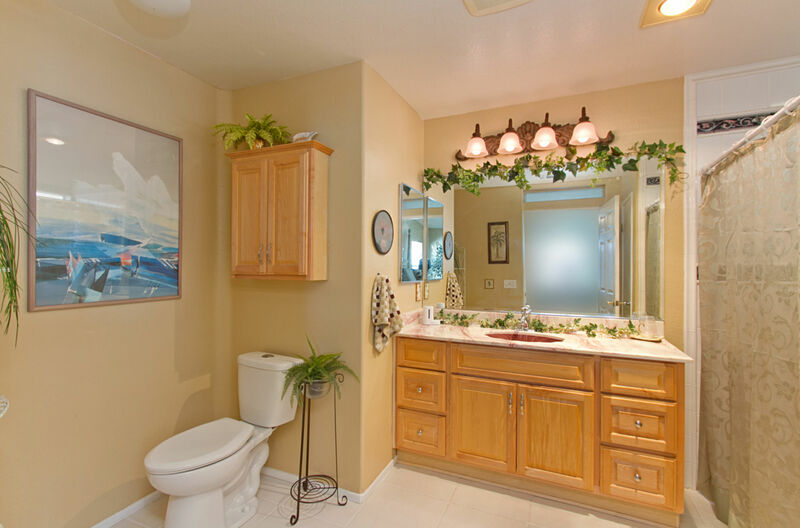 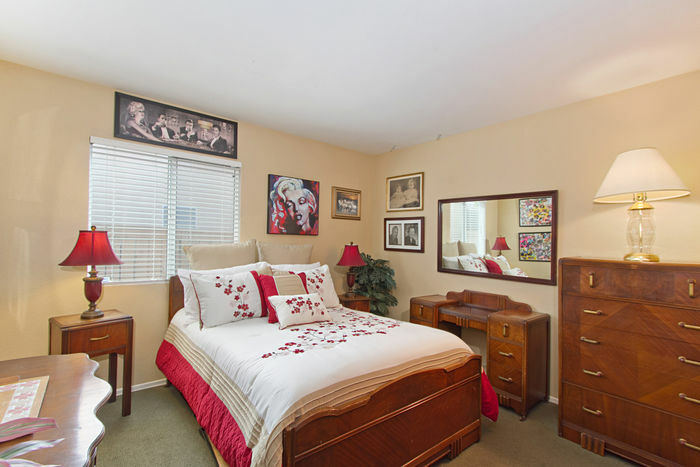 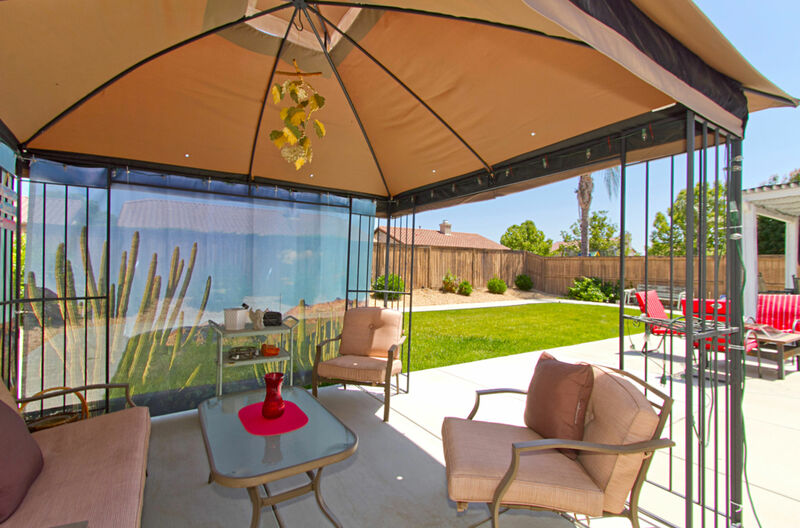 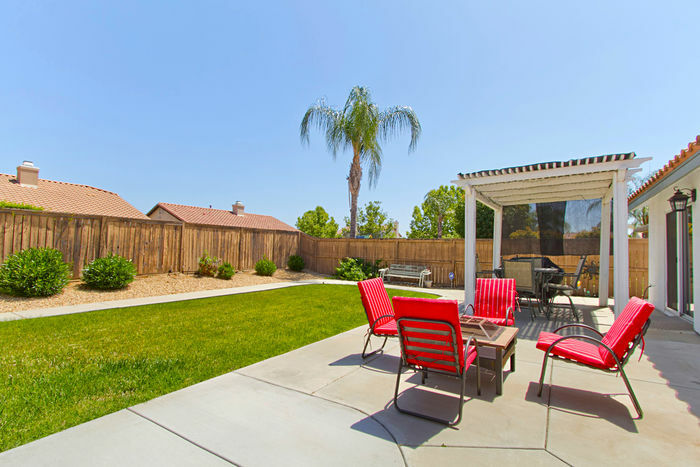 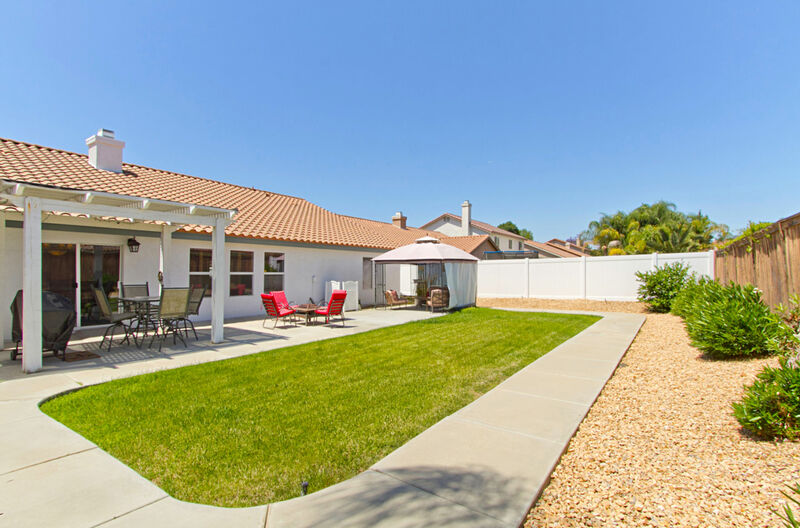 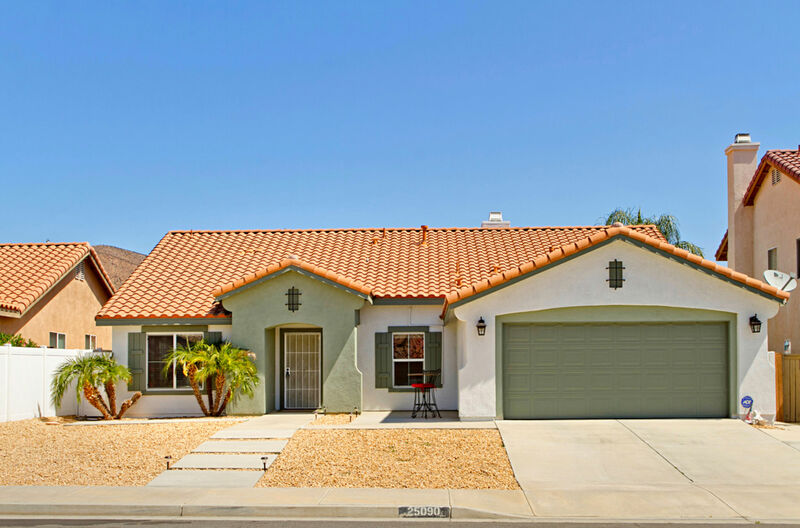 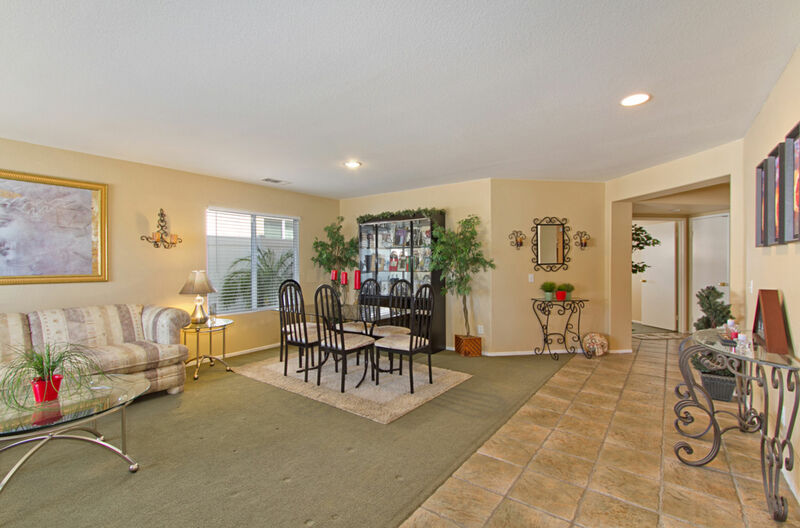 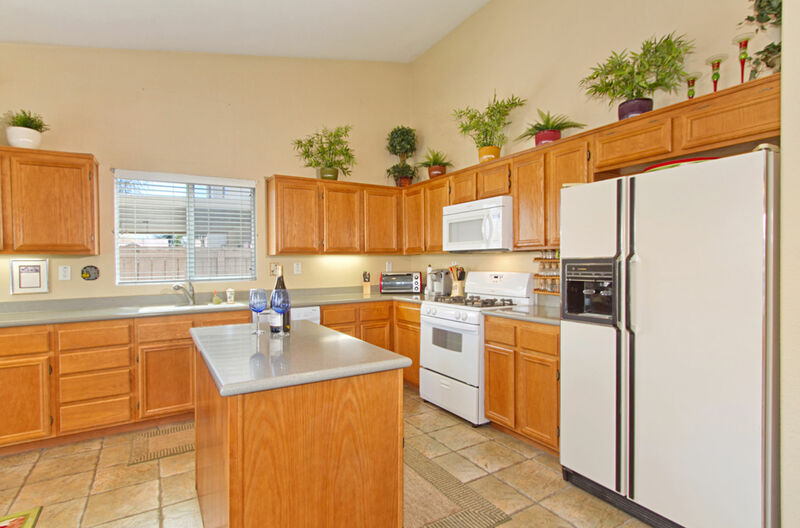 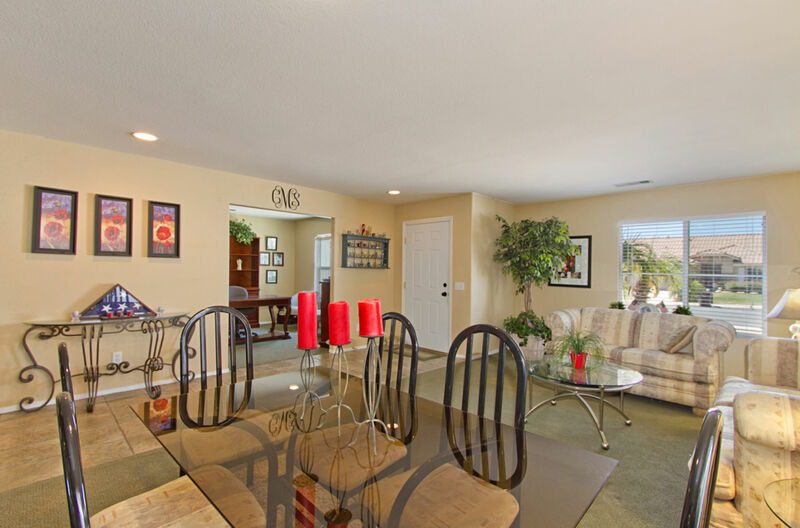 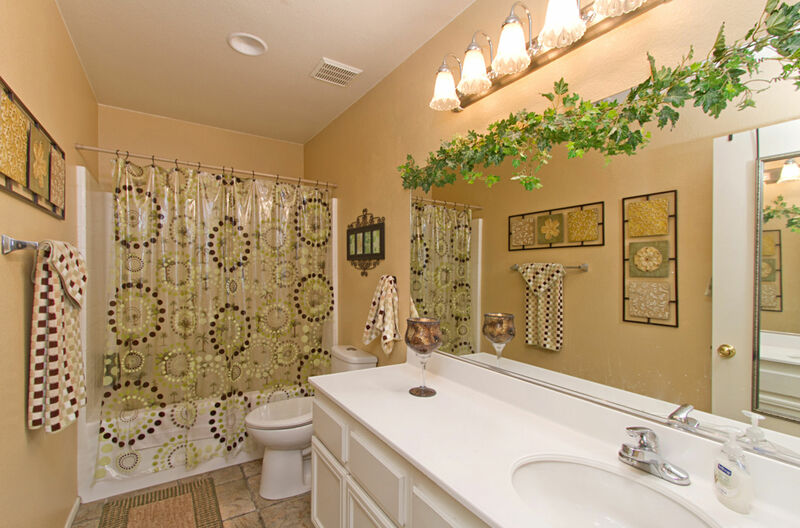 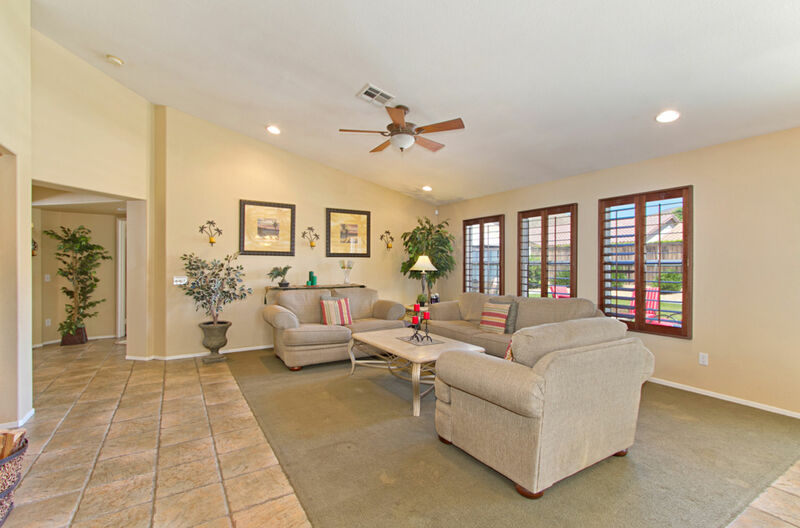 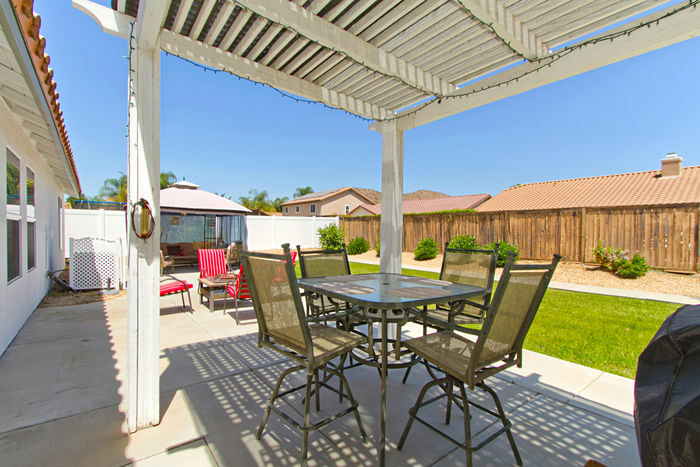 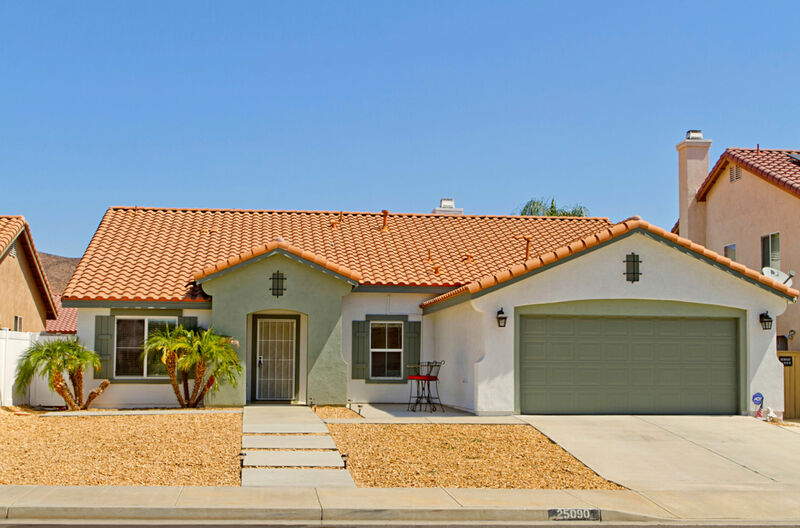 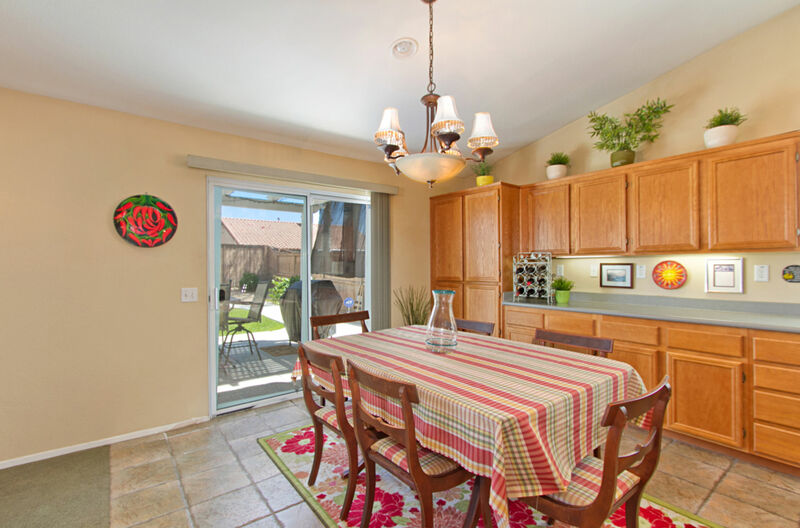 STUNNING SINGLE LEVEL MENIFEE HOME WITH ABSOLUTE PRIDE OF HOME-OWNERSHIP! 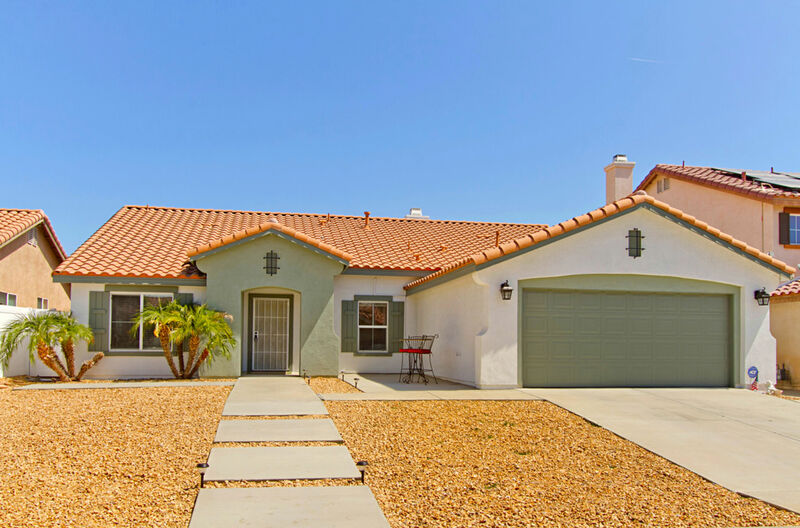 THIS BEAUTIFUL SPACIOUS HOME HAS BEEN RECENTLY PAINTED ON ALL EXTERIOR AREAS, NEW HARDSCAPE PATIO & MODERN WALKWAYS WITH FRONT YARD WATER FRIENDLY DESERT LANDSCAPING. WALK INSIDE AND ENJOY WHAT THIS HOME REALLY HAS TO OFFER WITH AN OPEN FLOWING LARGE FORMAL LIVING & DINNING AREA & LARGE DEN/OFFICE JUST ADJACENT FROM THE ENTRY AREA. 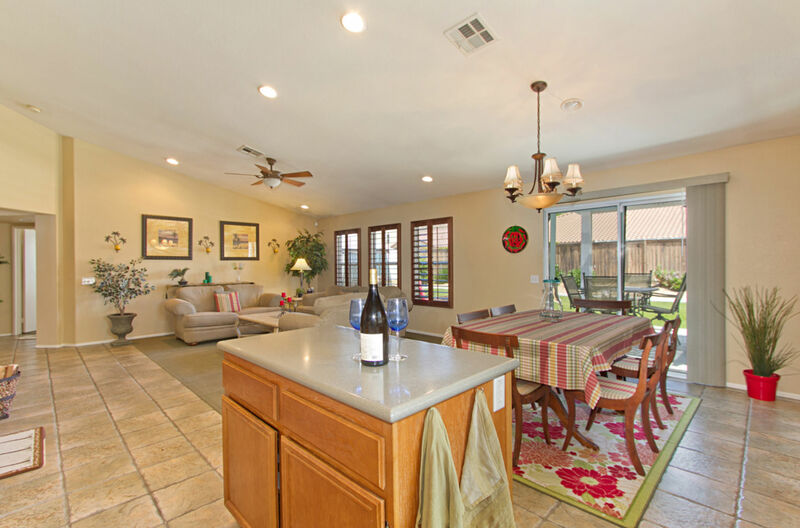 CONTINUE THROUGH AND YOU WILL FIND A HUGE OPEN FAMILY ROOM WITH PLANTATION SHUTTERED WINDOWS LOOKING THROUGH TO YOUR PRIVATE LANDSCAPED BACK YARD & OPEN TO YOUR LARGE KITCHEN AND NOOK AREA WHICH IS FANTASTIC FOR ENTERTAINING YOUR FAMILY AND FRIENDS. 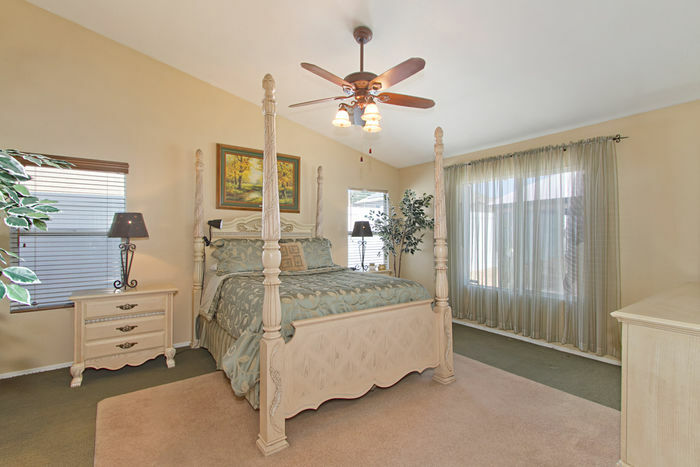 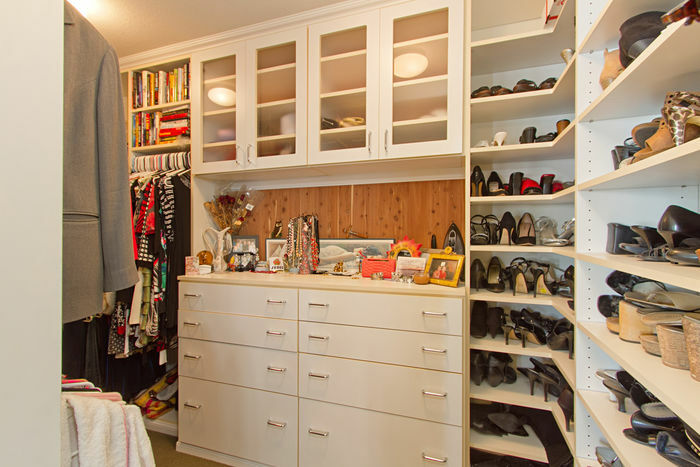 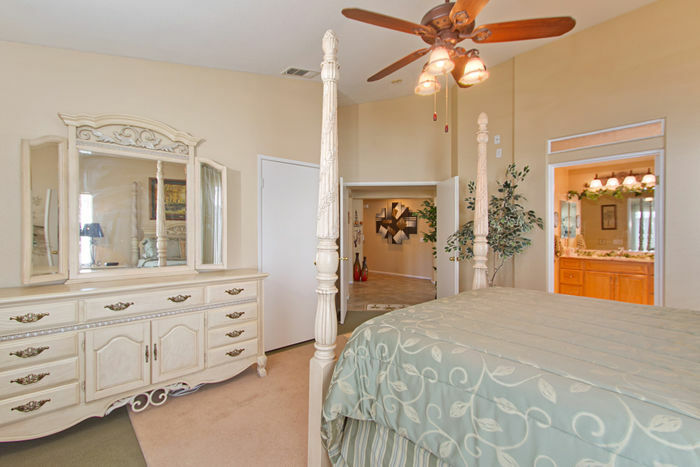 UNWIND IN YOUR NEW SPACIOUS MASTER BEDROOM THAT BOASTS CUSTOM BUILT WALK IN CLOSET WITH CEDAR INSERTS AND LOTS OF SHOE SPACE, LARGE MASTER BATHROOM WITH OVER-SIZED WALK IN TILE SHOWER. 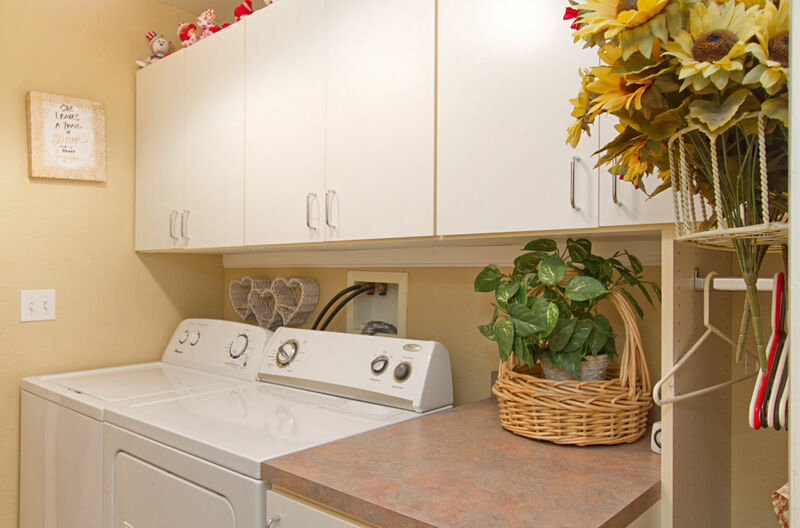 CROSS THE HALL INTO LARGE SIZE SECONDARY BEDROOMS & BATHROOM, INTERIOR LAUNDRY ROOM WITH UPPER CABINETRY FOR MAXIMUM STORAGE. 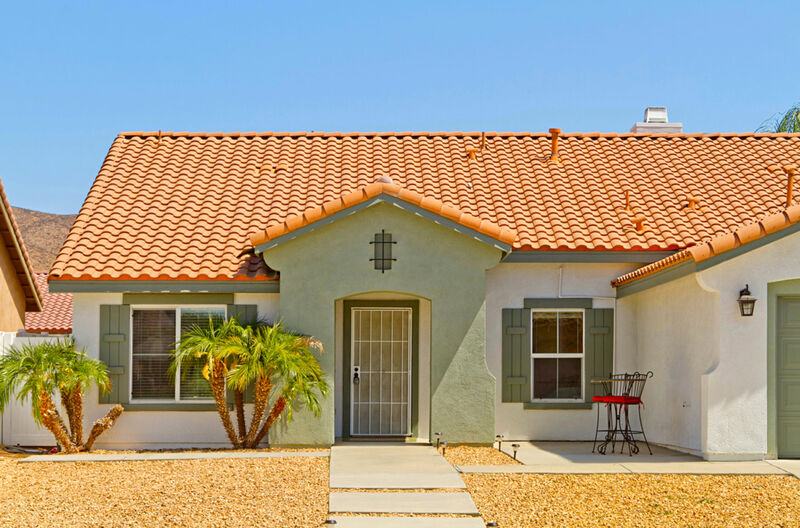 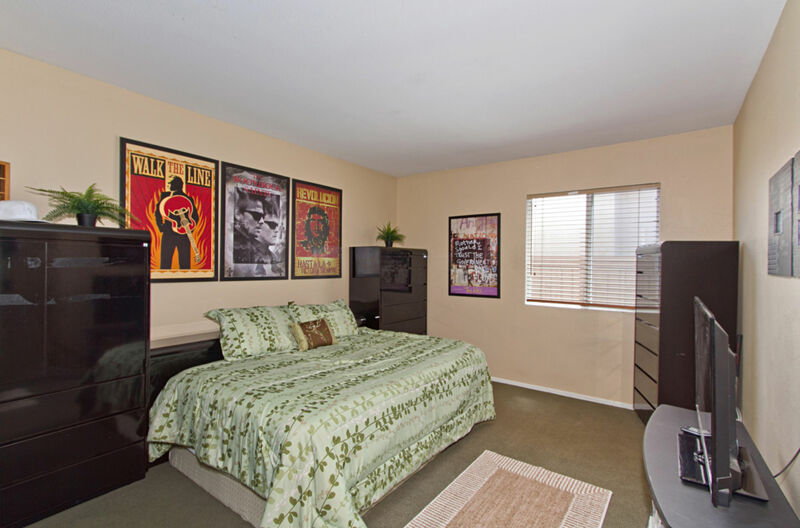 THIS HOME IS LOCATED WITHIN WALKING DISTANCE TO GREAT PARKS, SCHOOLS AND CLOSE TO SHOPPING AND EASY ACCESS TO BOTH THE 15 & 215 FREEWAYS.